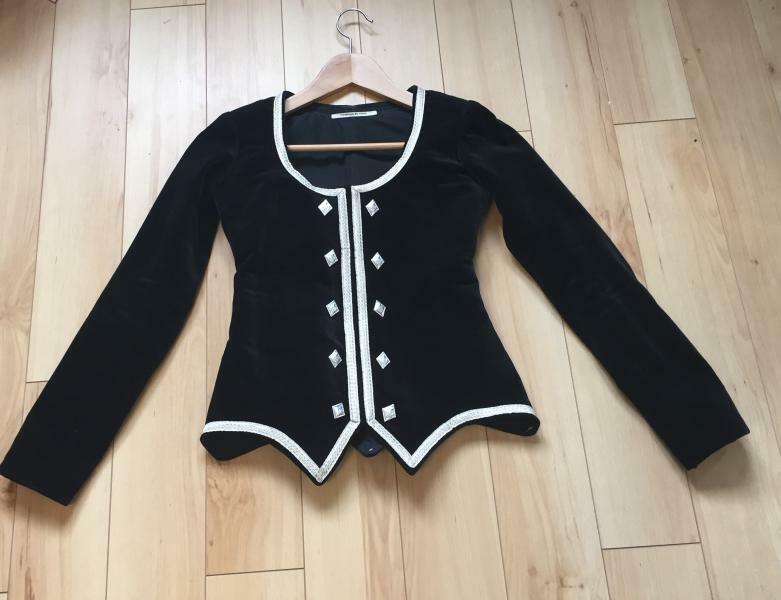 dance.net - Black Jacket made by Gloria (10244860) - Read article: Ballet, Jazz, Modern, Hip Hop, Tap, Irish, Disco, Twirling, Cheer: Photos, Chat, Games, Jobs, Events! We are selling a black jacket made by Gloria in May 2014. In excellent shape as my daughter competes infrequently. Dry cleaned asking $200 CDN plus shipping. Located in Ontario. Is your price firm on this? What is the measurement for the hips and waist taken flat? Waist measuring flat 12 1/2", Hips 16"
This jacket brand new would be $350. The lowest I would consider is $190 plus shipping as it has just been dry cleaned.